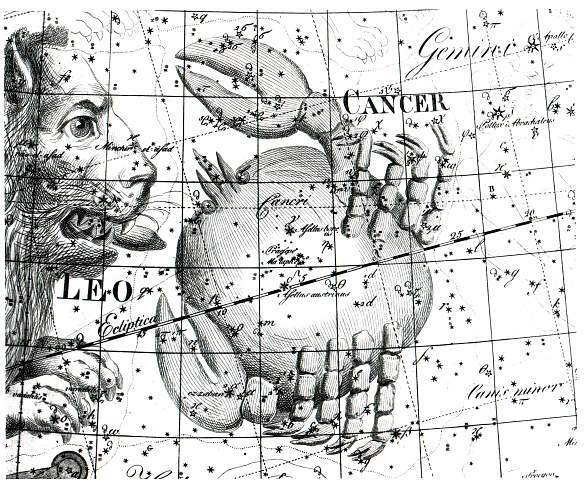 The constellation Cancer is the representation of the monstrous crab Carcinus in Greek mythology. Carcinus was a gigantic crab dispatched by the goddess Hera to battle and distract Heracles as the Greek hero fought with the Lernaean Hydra. Carcinus was no match for Heracles, and the crab was crushed under the foot of the hero. 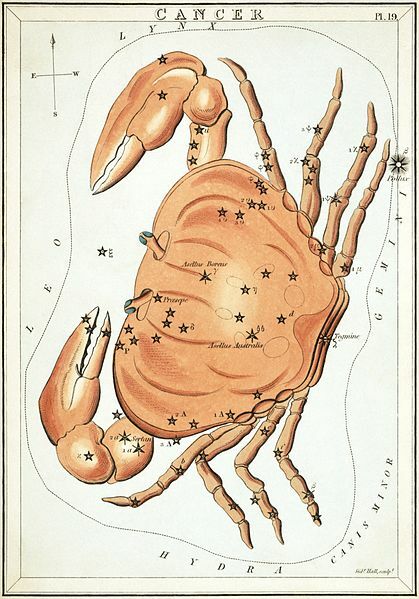 In recognition of its attempt to kill Heracles, Hera would place the crab amongst the stars.